So, you've decided to host a vision board party? Congratulations! Vision board parties are super fun + transformative parties where friends connect and chat about goals over wines and cheeses while creating a visual image of what they want their future to look like. I have been hosting vision board parties, potlucks and conferences for the past four years (so I'm clearly a huge fan!). Deciding whether your event should be free or an event with paid tickets is a pretty easy decision to make. Why Should You Charge A Fee? I recommend charging people to attend your event when you've put a significant amount of energy into the planning stages of the event and if you've spent money to produce it. Our first vision board event was a huge production. We spent weeks putting together speakers, sponsors, decorating the space. There was a legit agenda and vendor tables. In this conference-style type of event, we paid a lot of money in advance. Here's a list of things that you might have to pay for to host a vision board party. The most important items you'll need for your vision board party are the materials used in making a vision board. That means that you'll need magazines, poster boards, glue and scissors for every person that attends your event. Depending on how you'd like your event to flow, you might want to invite someone to speak at your event. I've done several of these events where I'll teach how to build a vision board, how to create a vision or best practices for goal setting. Bringing in a speaker will require that you spend time researching influencers and leaders, pitching them to speak at your event and them coordinating their appearance with their team. Some speakers will require a fee to speak at your event - these fees should be accounted for in your ticket pricing. If you're hosting a vision board party for 10 or more people, I would recommend getting a space that will accommodate a larger audience. You'll need a space for the food to be served and another space that will hold a larger group, sitting at tables. At our first event, we purchased DIY photo booth printables from etsy and a few other inspirational messages to have around the room as decoration. You may want to have the decor match the theme of your vision board party. If you do buy event decor, then you can add the cost of that into your ticket price. You have an accurate head count for food and drinks. Less people will register for your event. You have to create an event that is worth the price of admission. 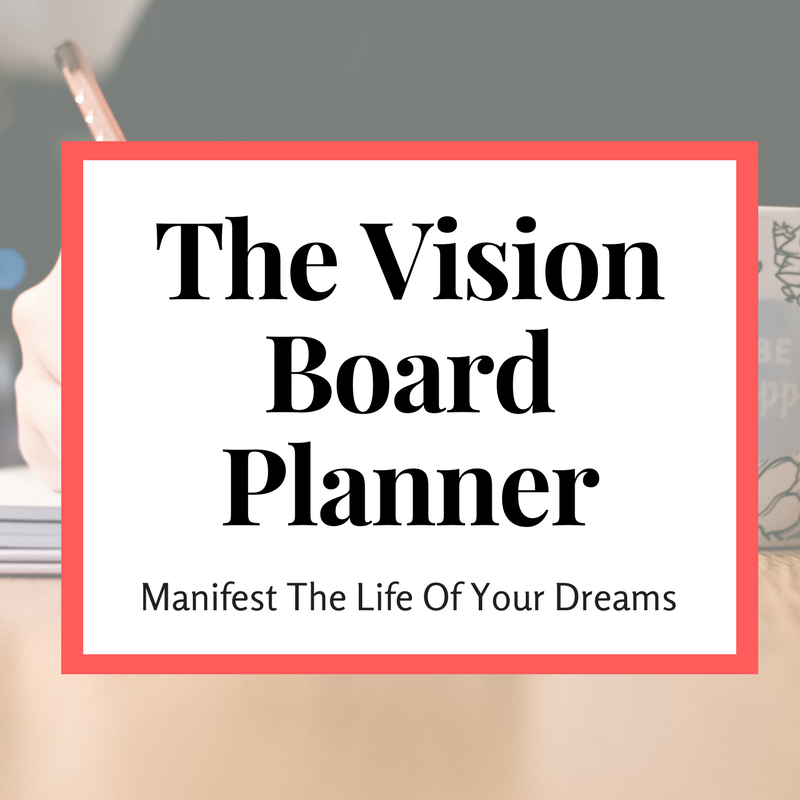 If your vision board party will be a larger production and you're spending a significant amount of time on it, you may be hoping to make a profit. Here's how to walk through your pricing your party. At a minimum, you'll definitely want to cover your expenses. This will include everything I mentioned above (and anything else you end up buying for your event). You may have been able to get cash sponsorship or some other type of donation (like the food or drinks). If you received any cash sponsorship, you can subtract this from your cost of expenses because this is money that you can spend on your event that's not coming directly out of your pocket. You can create a simple, preliminary ticket price by just taking what you spent and dividing it by the total number of attendees you expect to have at your event. Most of your event costs will come in that last few days leading up to your event. No matter how much advanced planning you did, there will always be something you forgot - or something you didn't know about. When we hosted our first event, we ordered tables and chairs from an event rental place and a u-haul truck to carry everything around. When we arrived at the event renal place, they informed us that they were closed for the rest of the weekend and we'd have to wait until Monday to return the items. That means we had to pay for 2 extra days with the u-haul - an additional expense that we did not plan on. Adding a multiple into your ticket pricing will also help to CYA in the event that ticket sales are low. Depending on the ticket cost for attendees, you can dramatically raise the expectation for your event. (People will be expecting totally different experiences for a $15 and a $99 event.) No matter what you end up charging to attend, it's most important that you deliver on the attendees expectations. When you're hosting a paid event, you have to convince people that they want to buy the ticket but you also want to make sure that they will receive exactly what they expect. You this by mastering your event description. Securing high visibility + influential speakers will increase the value of your event dramatically. People will definitely show up and be pleased with their experience if you have their favorite influencers in the building sharing goal setting gems for the new year. Who doesn't love food? If you can provide finger foods and great beverages for attendees, they will be more than happy to pay a higher ticket price. Gift bags are always a nice touch to the end of an event. It gives attendees something to remember the event long after the vision board fun is over. If you have a higher priced event, it also helps to add more value to your attendees. Your event is only a success when your attendees feel they've reached their goals. Having guided workshops and speaker panels will give attendees more opportunities to learn, be inspired and get their questions answered before jumping into a brand new year. This means have your friends provide all the materials. Everyone can pretty easily bring their own boards, scissors, glue and a few magazines from home. You can have the event be potluck style where everyone brings both a dish and a bottle (of wine, alcohol, whatever) to share. This takes away the cost of a space for your event. Just make sure whoever's home you're using is large enough to accommodate the whole group. Whether you host a vision board party for your close friends or for a large group, they're guaranteed to be a ton of fun! Once you get people in a room together talking about their goals (with lots of wine) you're going to have a great time.